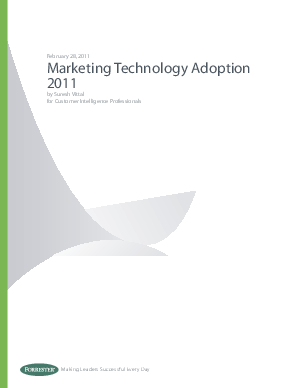 Independent research firm, Forrester Research, Inc. recently surveyed Customer Intelligence (CI) professionals to understand their marketing technology priorities, plans, and budgets. Some old issues continue to fester including the lack of a centralized view of customers and insufficient measurement that limit marketing programs for CI professionals. Download the complete Forrester report. See what CI professionals are saying about their technology strategies and challenges.